Well, it’s here. Football season. The time of year where a storm cloud floats above my head, raining on my parade every Monday, Thursday, and Sunday. I’ve tried. 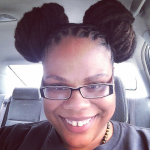 My wife is a HUGE NFL fan and in order to bond with her, after being together for 12 years, I sat down last year and watched every game. I was miserable! I had to try though. We have two televisions in our house, one downstairs in the living room and one upstairs in our bedroom. When a game is on both sets must be tuned into the game so that as she moves about the house she doesn’t miss any of the action. On Sundays it allows her to watch multiple games at once. For me… it’s a trap. I can’t get away from a game that, in my opinion, has too many unnecessary rules and is too slow for my liking. You’d think I’d find some peace on the other four days of the week. But no such luck! On those days the TVs are tuned in to ESPN to go over every aspect of the games in excruciating detail. This is a viewing habit I’ve never understood. You JUST watched the game! Why do you have to watch the recap? So, while the rest of the world is picking players for their Fantasy Football League team and suiting up in their favorite player’s jersey and face paint, I shed a tear knowing that I must suffer through 6 months of torture. 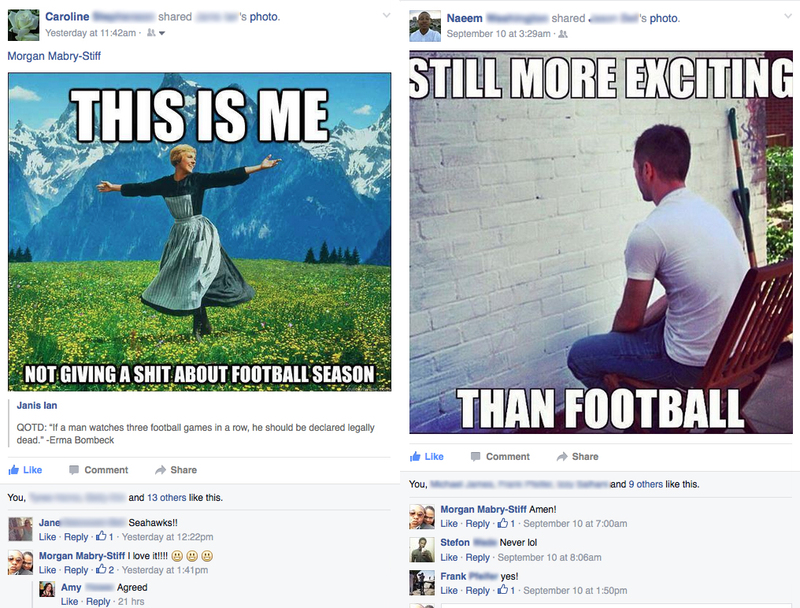 I do enjoy the Super Bowl, however. Not for the commercials and certainly not for the game. I enjoy it because it coincides with Tina’s birthday and we throw a party that allows me to cook my favorite dishes for our friends! While everyone cheers and shouts, I’m in the kitchen making sure that the spread is the tastiest in town. Unfortunately, there is nothing we can do. 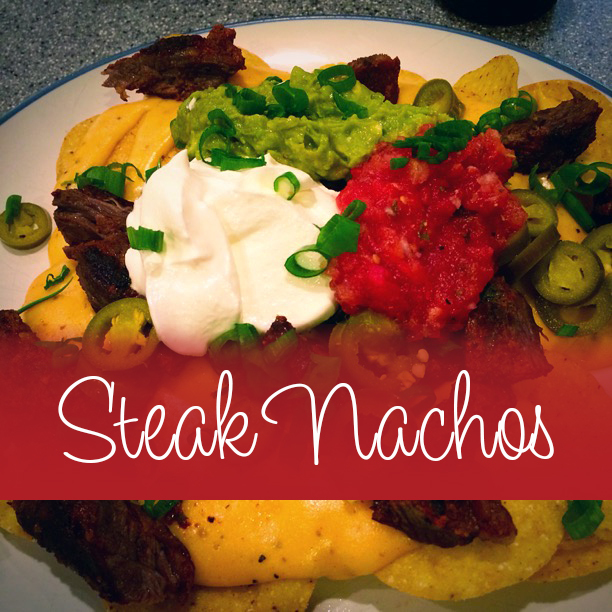 Americans love football and since I can’t join them, I’ve decided to celebrate this first month by sharing with you the best thing about football season… the tailgating food! Starting this Sunday, for the first month of the NFL season I will be sharing my favorite recipes to enjoy during the games. I decided to start with chicken wings because a student of mine is constantly talking about chicken wings on his Facebook feed (Hi, Naeem!) and I have been craving good wings ever since National Chicken Wing Day when his feed featured comments and pictures of this classic game time treat! 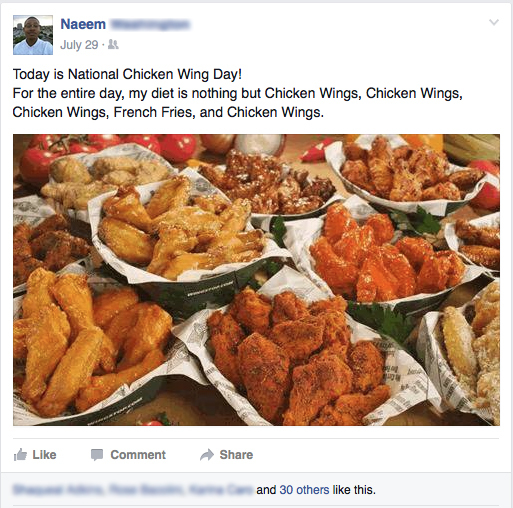 Who knew there was a National Chicken Wing Day?! Next year I’ll be prepared! My Dad would say I am being unnecessarily fancy with this recipe (while licking his fingers), but the flavors are AMAZING! 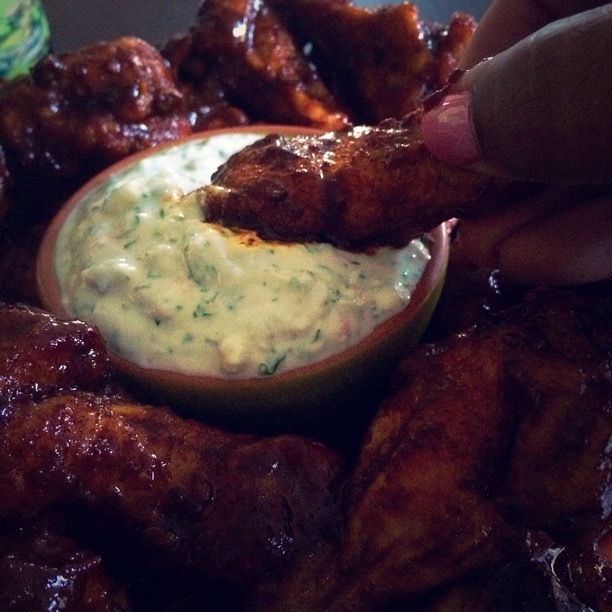 You have to make both the dip and the wings. After parties I’ve had people fight over the leftover wings and even the dip, which friends have used on salads and paired with fresh veggies. 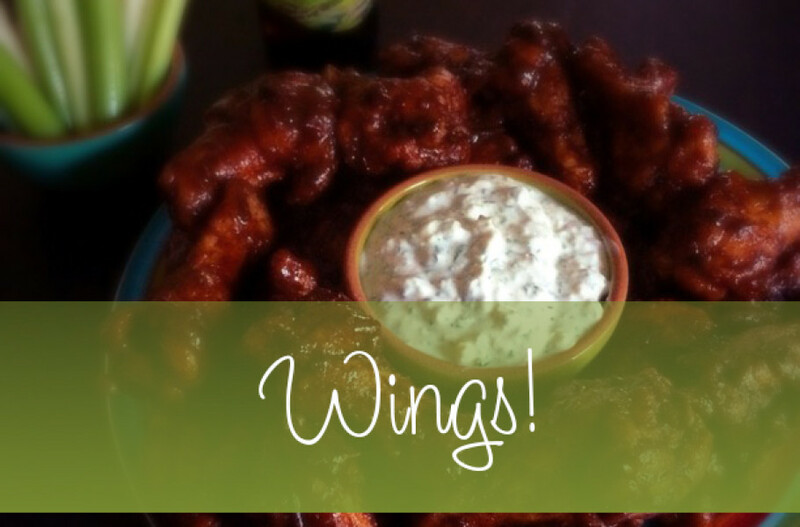 We all know that the drumettes are the meatiest and favorite part when you eat wings, so splurge for all drumettes. If you’re going to go through the trouble of making your own wings, you don’t want to fight over who gets the last drumette when they can all be the perfect selection of meat! Naked wings. Ready to be dressed. Every piece is a juicy, meaty drumette! 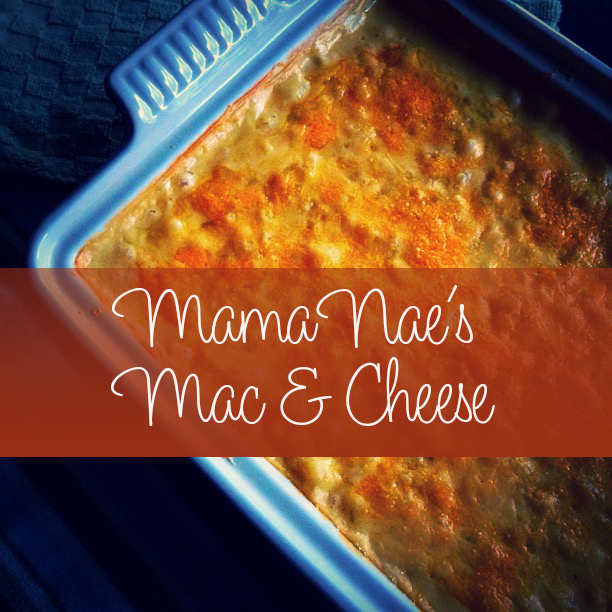 The Blue Cheese Yogurt Dip is the perfect accompaniment. 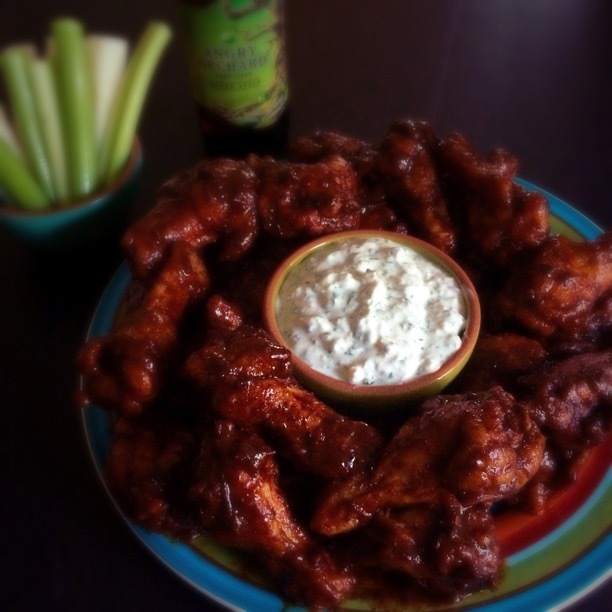 Make these chicken wings tomorrow night for the NFL’s first Monday Night Football game and let me know what you think about the recipe below. 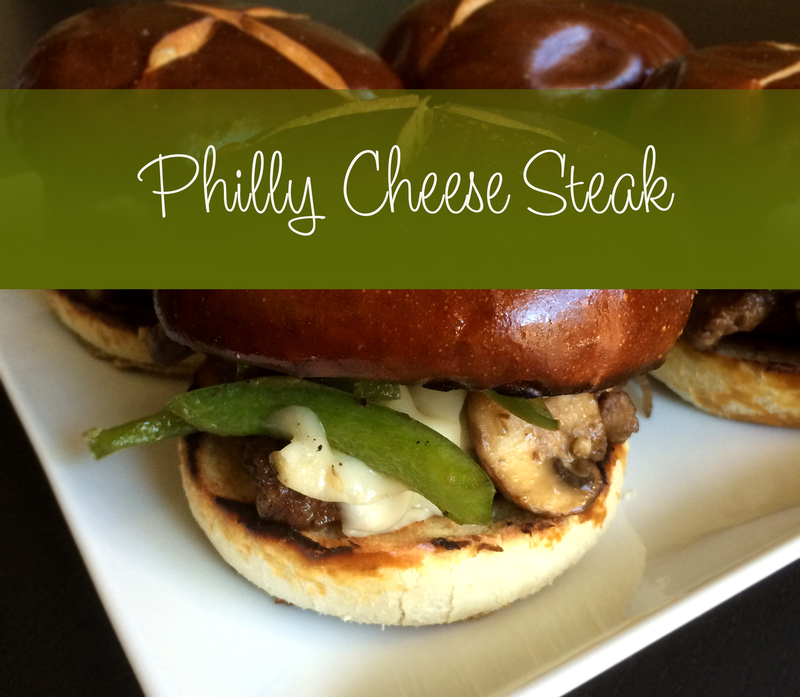 Next week make sure you come back for the best Philly Cheese Steak Sliders you’ve ever tasted. Yes, it’s that good! Use the dip on veggies or a salad. It is delicious! 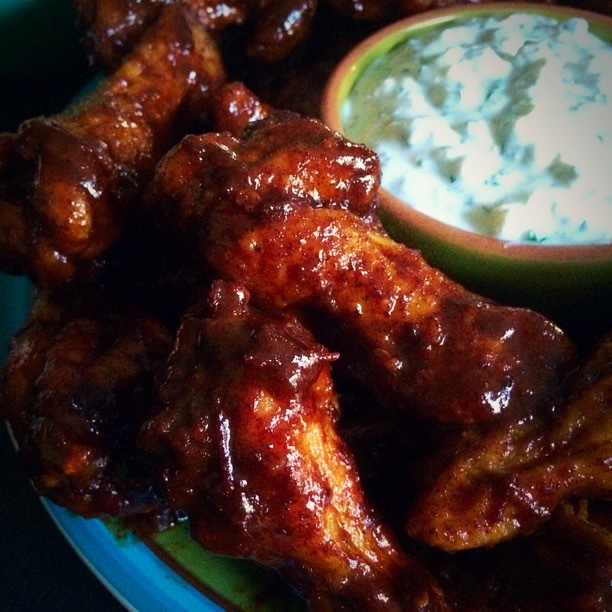 These flavorful wings are so delicious, you'll crave them over anything you can get from a pizza or wing joint. Combine the yogurt, blue cheese, red onion, cilantro, and salt and pepper to taste in a small bowl. Refrigerate at least 30 minutes before serving to allow the flavors to meld. Heat 2 inches of peanut oil in a cast iron dutch oven until a deep-fry thermometer registers 375 degrees F.
Stir together the flour, salt and pepper to taste, 1 tablespoon ancho chili powder and the garlic powder in a shallow bowl. Season the wings with salt and pepper and add in batches to the flour mixture to lightly coat. 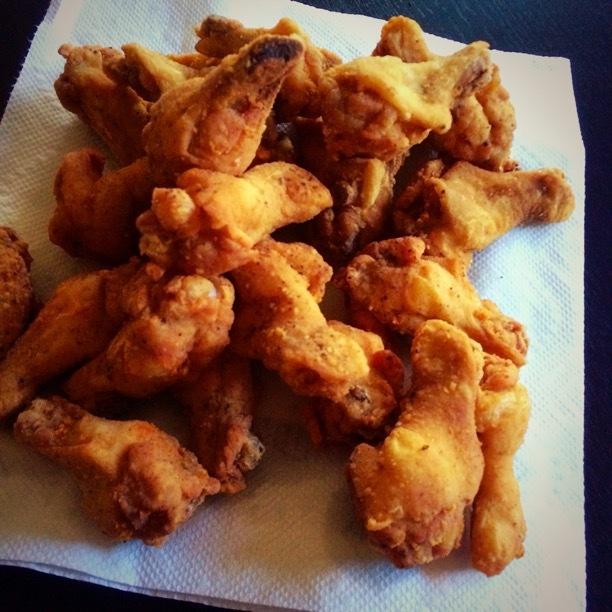 Tap off the excess flour, add the wings to the oil in batches and fry until golden brown and cooked through, 8 to 10 minutes. Transfer with a slotted spoon to a paper-towel-lined plate. In a large, high-sided saute pan, bring the vinegar, chipotle puree, the remaining 2 tablespoons of ancho chili powder and the New Mexico chili powder to a simmer over medium heat. Remove from the heat and whisk in the mustard, 1 teaspoon salt, the honey and butter until smooth. 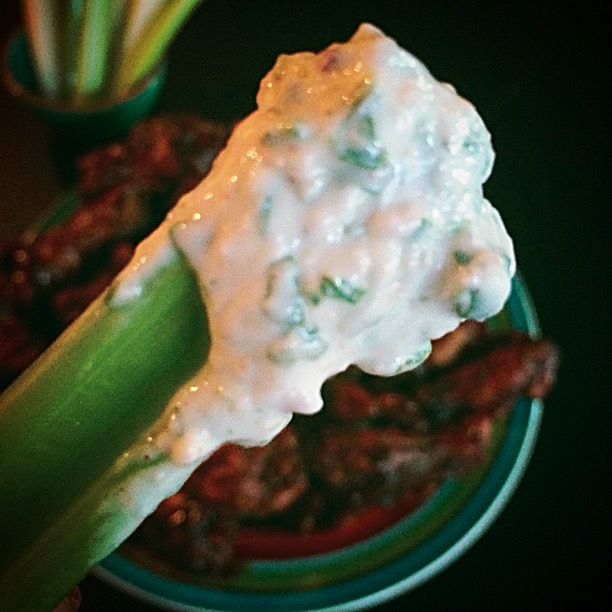 Serve with the jicama and celery sticks and the blue cheese dip. If you can, really try to find the Ancho Chili Powder. It really does add to the flavor of the wings. If you can't find it, just use regular Chili Powder. If you can't find it at your favorite grocery store or want a more affordable option, try Cost Plus' World Market. Drink Pairing: I enjoy these with hard ciders because the sweetness works well with the heat of the wings. My drink of choice? Angry Orchid Green Apple Hard Cider. Hey! Check out this blog entry, "Wings!". And while you're at it, check out the entire blog: http://testedtriedandtrue.com/wings/. Discover Life. Onward and Inward!